Gustav Klimt, famous Austrian symbolist painter, member of Vienna Secession movement, is well-known with his paintings, sketches.Besides his figurative works that include allegories and portraits, he also painted landscapes. His paintings of the «golden phase» make him popular. Today Klimt’s works still captivate us. Even fashion industry is under his target. 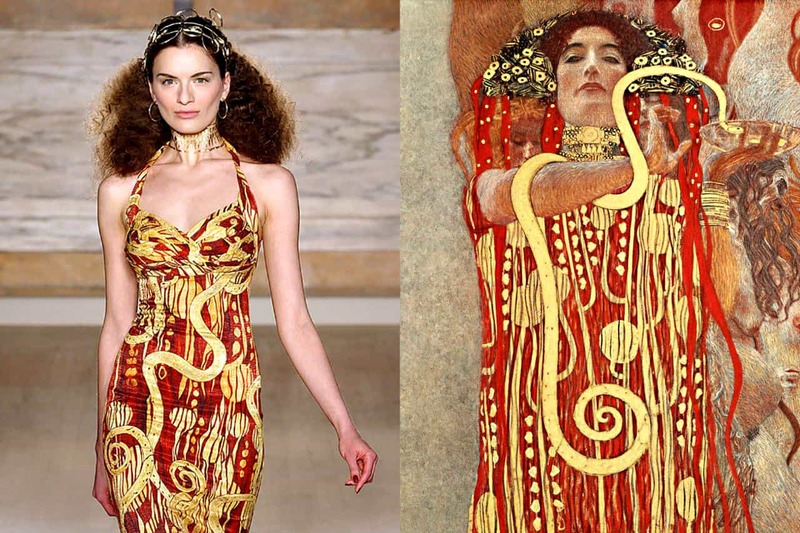 There are many followers of Klimt clothing style. So Klimt’s canvas often turns into a cloth. Being the leader of the Vienna Secession, he was the master of the symbolism. He embedded allusions to the human nature and psyche in rich, lavishly decorated patterns. He rejected more traditional approaches towards art that portrayed classicism, naturalism and rationality. Gustav Klimt’s art is mainly concentrated on female body. Women portraits represented the core of Gustav Klimt’s canvases. He explored and depicited the woman body, with more or less clothes, full of sensual symbols. He is one of the exceptional artists that really dictated his taste, was familiar with latest fashion tendencies. This fact makes him unique. Maybe this was due to his relationship with Emilie Louise Flöge. She was a well-known Austrian fashion designer and a businesswoman. 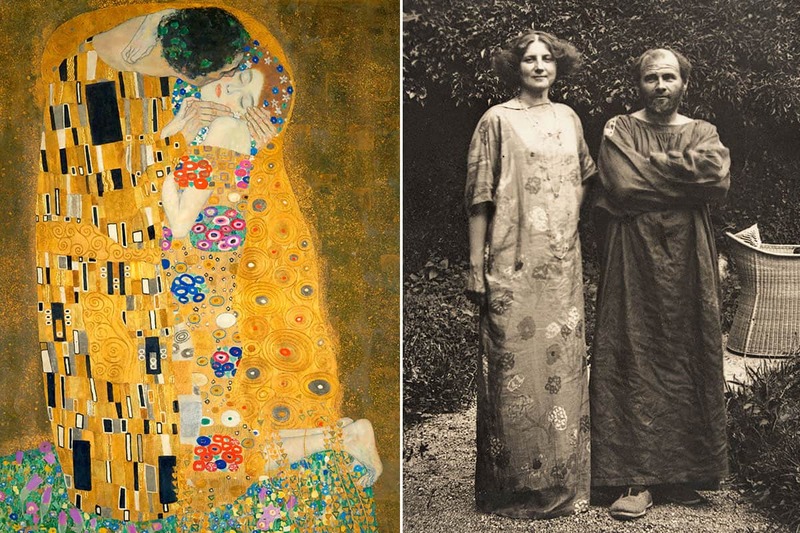 What refers to Klimt, fashion becomes the unseparable part of his portraits. In his art works we find a semantic connection between the two languages – fashion and painting. There we find a structural dialogue between human body and symbols. 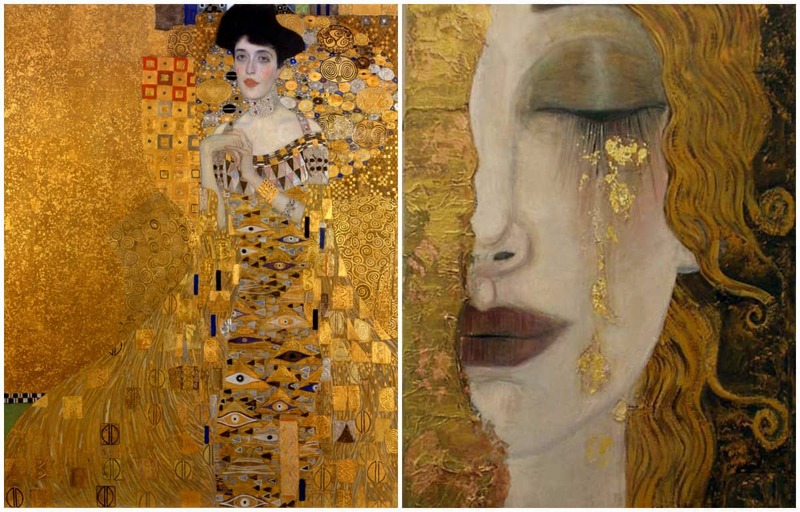 Emilie had his influence on Klimt’s art. So they were not simply lovers. They were partners who helped each other, creating exceptional art that were typical both of them. 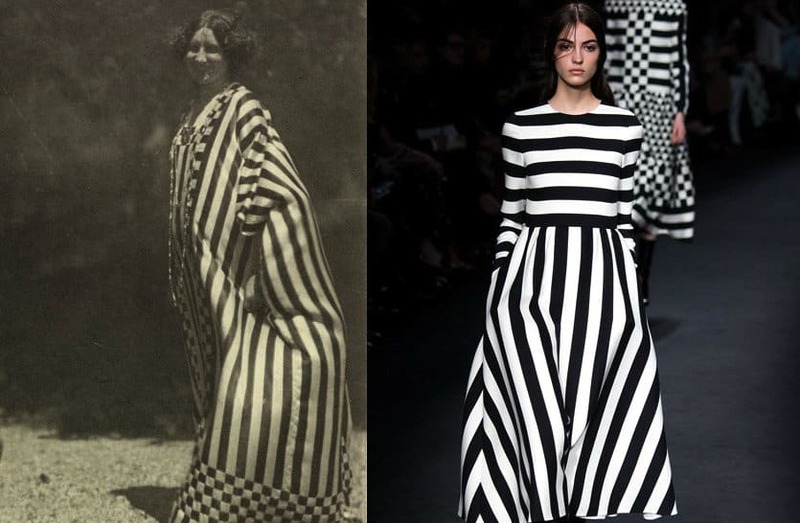 There were designers who followed Emilie’s style and created dresses that were resemblance with Emilie’s dresses. 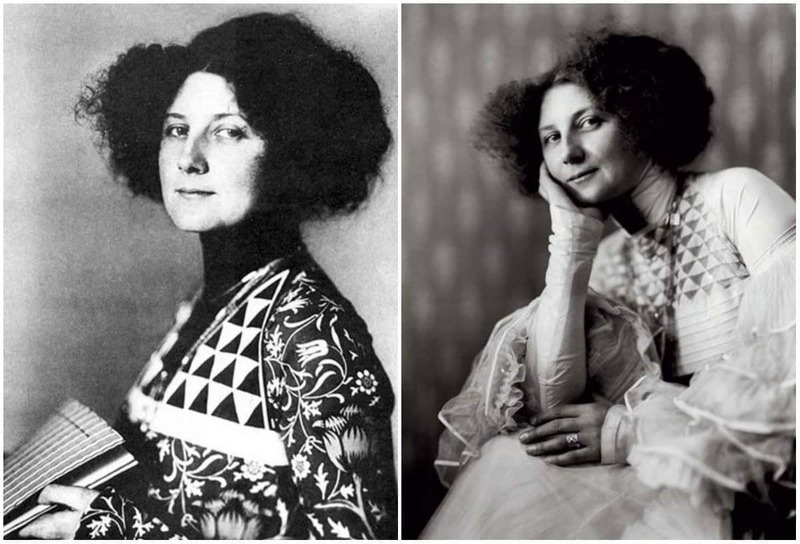 Being familiar with the latest fashion, due to his collaboration with Emilie, Gustav Klimt accentuates and put an emphasis on makeup, hairstyles and accessories in his works. He transforms the woman, creating dresses, hairstyles that you can see only in his paintings. His dresses were unlike anything else. They were mixture of contemporary fashion and primary dresses. The dresses worn by his women had an oriental allure by their chromatic and decorative register, most of them being image dresses for the woman portrayed in his works. By the way, some critics consider that the feminine outfits in Klimt’s works are anti-fashion manifestation. Like other artists, Klimt knew several distinct periods in his work, the most appreciated being the «Golden phase». During this creative period, he started giving lustre to his works full of sensuality. He used golden leaves in conjunction with oil paint to get a decorative Byzantine style. It is often seen in medieval illuminated manuscripts. This color symbolizes divinity and woman’s nature. «Woman is gold” this was his motto. Hence, Klimt created a work that nods traditional art. Meanwhile he incorporates the modern style of the early 20th century. The rich contrast of colors are typical of Klimt’s style. The luxuriant decorativeness and Byzantine mosaics of oriental textiles make her works full of passion and sensation. The gold of Byzantine style makes the human figure insignificant. The shapes of human figure is blurred. 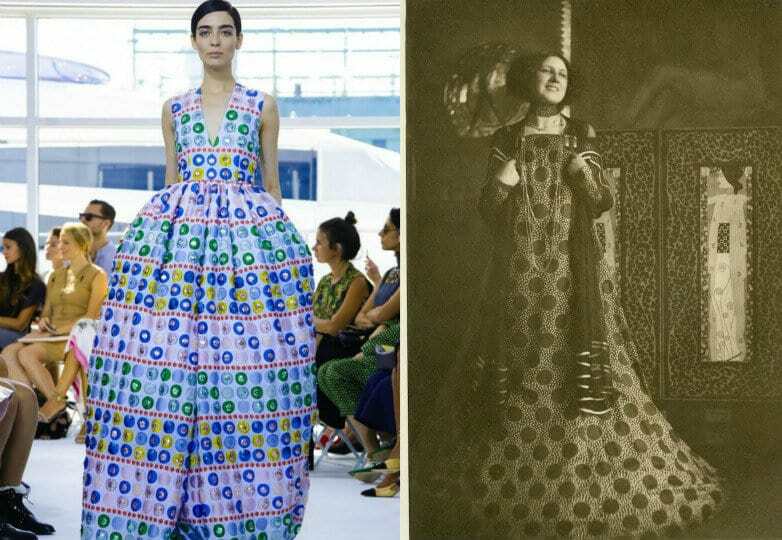 There are many designers who followed Klimt clothing style. 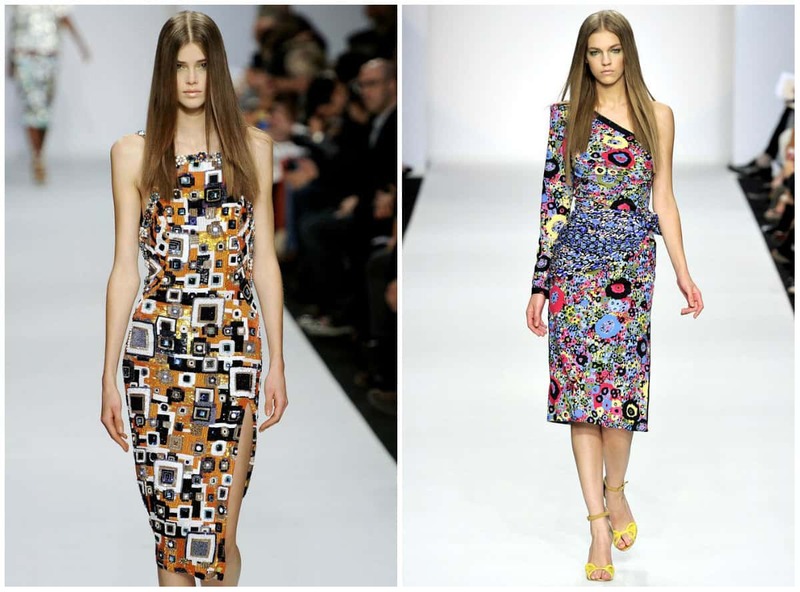 Dior’s spring collection of 2008 introduced dresses with geometric motives. 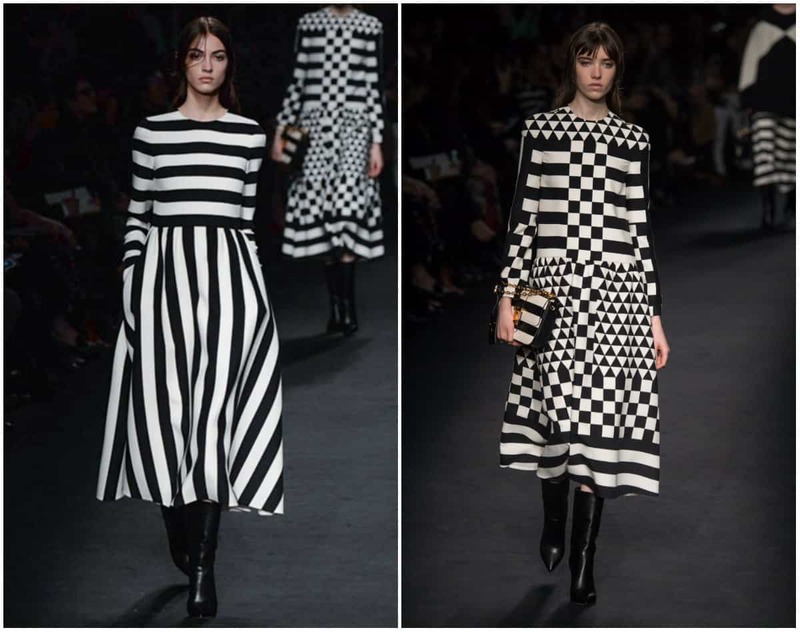 While Valentino used Emily Floge’s clothing style. Rimoldi used the elements of The kiss and The portrait of Adele Bloch-Bauer. 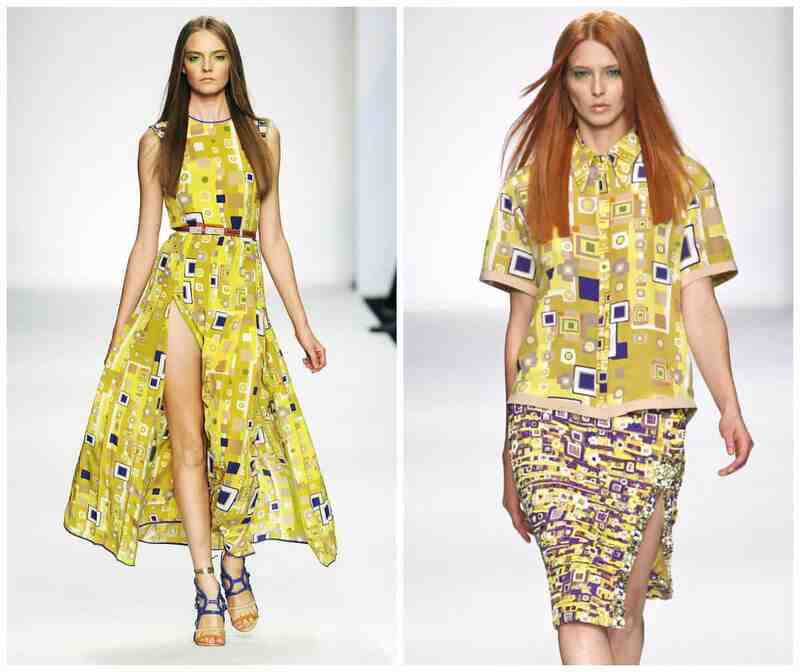 The canvas the tree of life and the portrait of Adele inspired designers Sarah Burton and Alexander Mc Queen. 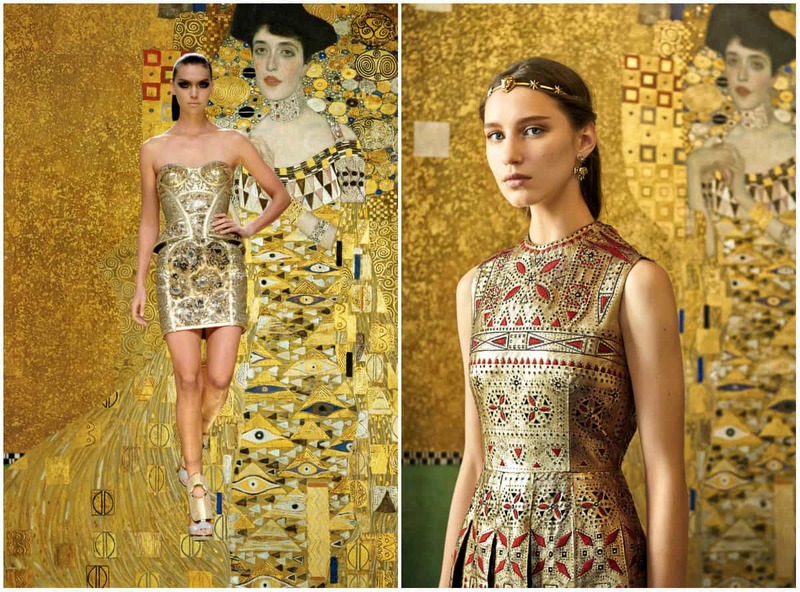 So we can state that Klimt clothing style attract fashion lovers. Klimt himself explored new possibilities of rendering the female body. He is considered to be the forrunner and fashion dictator of all centuries.